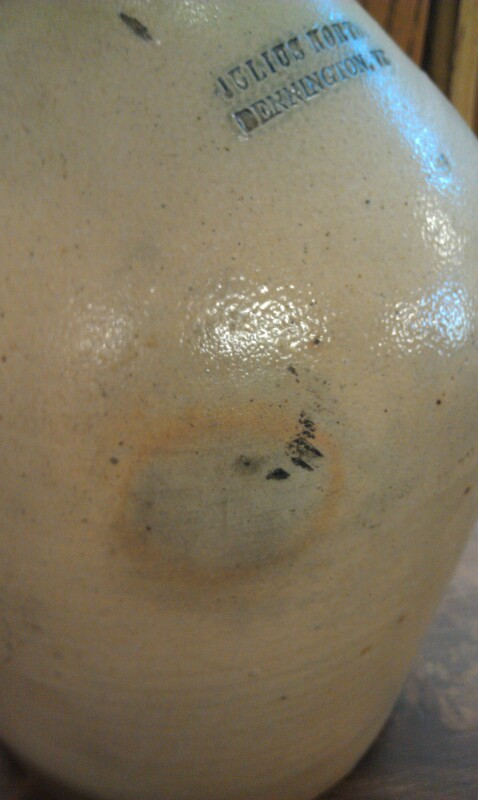 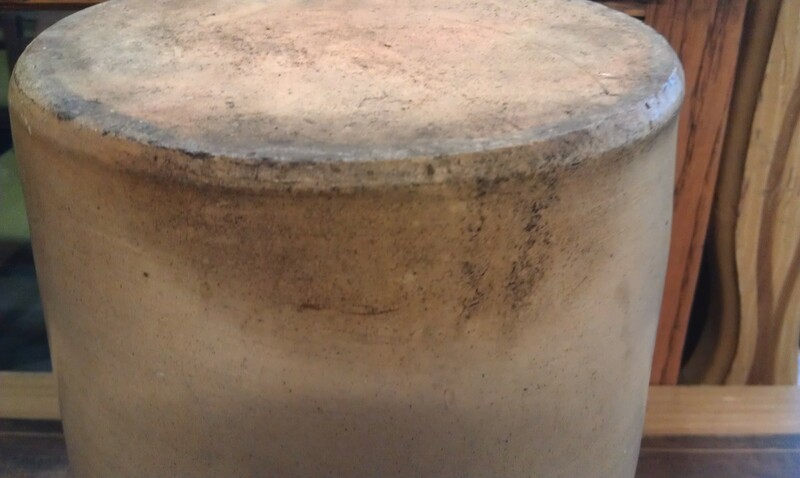 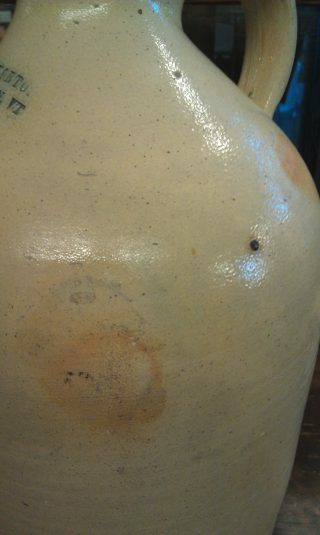 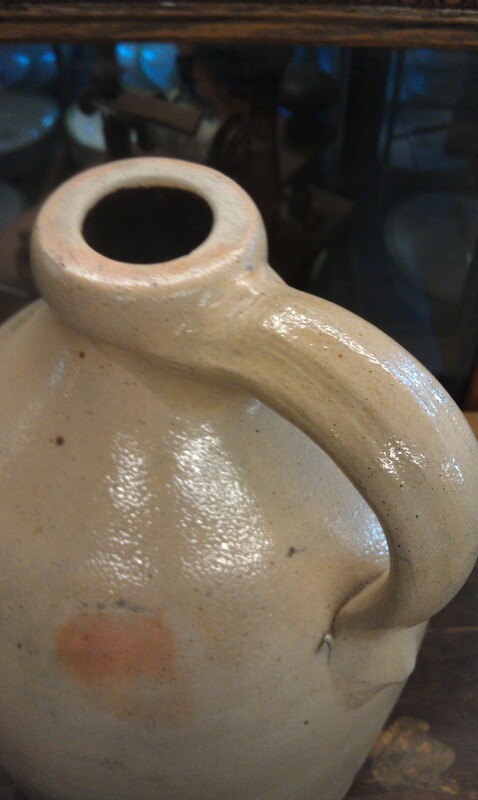 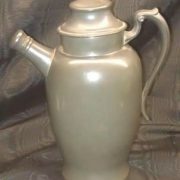 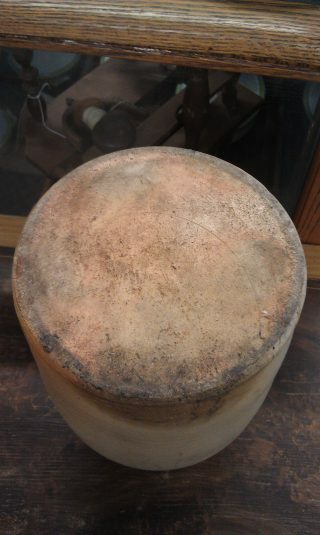 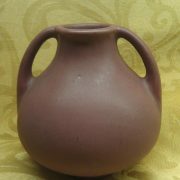 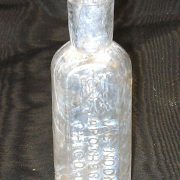 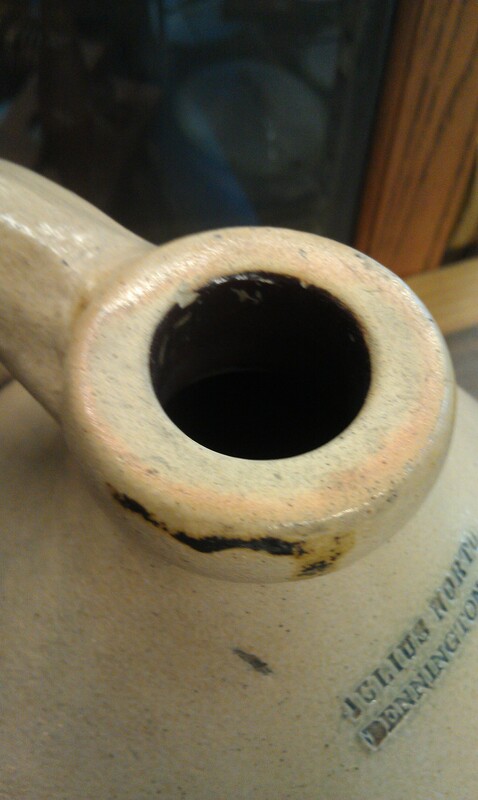 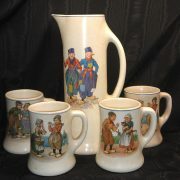 Original Julius Norton stoneware jug. 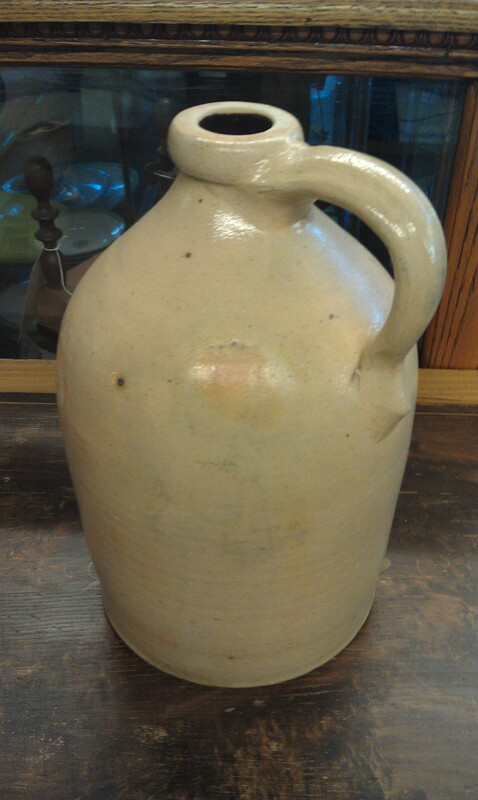 Made c. 1847-50 in Bennington, VT. 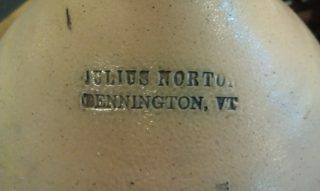 Signed with his stamp when he ran the family business. 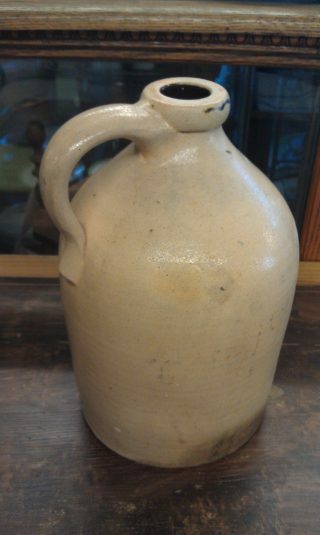 Stands 11″ tall. Has an applied handle and is in excellent condition with one small nick on the inside rim. Some staining and wear from age. 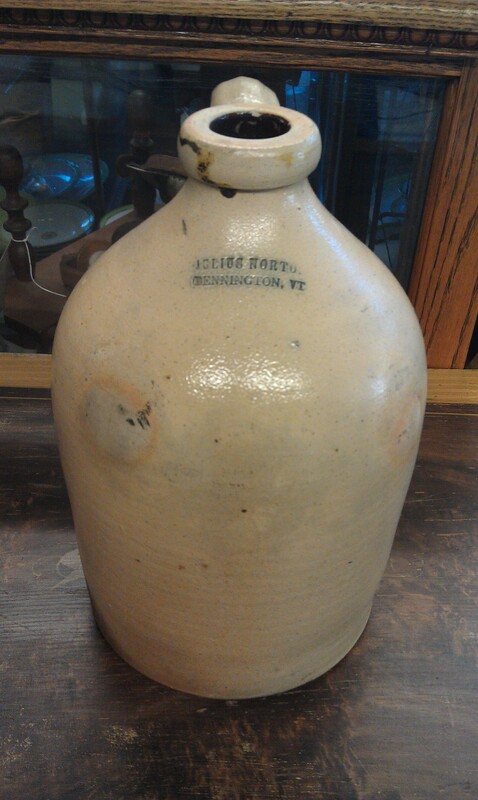 These are hard to find in this fine condition.